Olde Green Cupboard Designs: Let's Make Baskets!! It's Sunday morning and the weather is to be beautiful here in Jacksonville today! I think I may even work on removal of some weeds in the front patio area and get a little vitamin D today! PLUS... I wanted to let you all know... we are offering basket classes again... (or... I can make a basket for you)! We've had several classes here at the house and it's been so much FUN! I love having them here... we can eat lunch... relax if we need to... and we only have 6 students so that's very manageable and gives everyone the attention they need with their weaving. 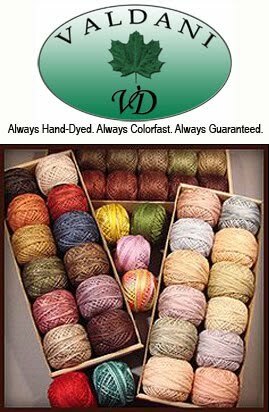 We are currently making beautiful "rainbow" market baskets..... with curls (if you prefer) and then adding a walnut stain! Wow... does the stain ever make them warm and vintage looking! Keep watching our website & Facebook for class dates, times and location. 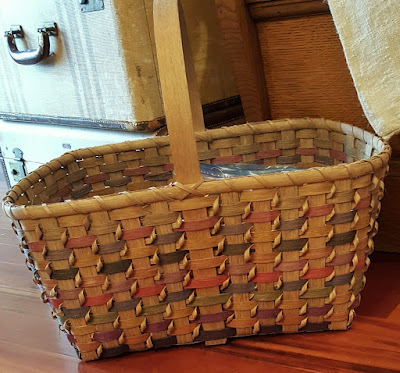 I'm working out dates for enrollment - so these larger baskets can be held at Cinnamon's Quilt Shop (giving you an entire table on your own) and will have them on the site soon!!! This finish is called "weathered". It's one of my absolute favorite finishes to a basket using a combination of stain and paint! This basket is the longest I've ever seen! It measures 51" long (I'm thinking ours will be MUCH shorter)! Can you imagine? It's painted the most awesome blue I've ever seen and then wiped with a cloth so it gives the appearance to be old and worn! This basket is long, flat and wide! Then it's finished with a beautiful red paint. Once dry - you can also add an antiqued finish over the red paint! with cream stripes and navy accent reed! These are great for toting around while shopping or carrying items back and forth to classes! we'll stain it with a walnut shell wash! Okay... .I'm now off to kill those weeds... and then throw some laundry in the washer.... find something to fix for dinner tonight... and then to my sewing studio I go! I'm designing something NEW today.... (with little...tiny... hexies...)!